If you’re lucky enough to catch a leprechaun on St. Patrick’s Day and ask him where his pot of gold is, he’ll have to tell you. That’s because, as is well known, leprechauns cannot lie. But leprechauns are wily, solitary fellows who know how to stay safe from prying eyes and questions. So, on the off chance that you don’t come across a leprechaun, we thought we’d let you know about another way to create your own pot of gold: a self-directed Gold IRA. Gold has been recognized as a form of currency for centuries. Today, it also offers a way to diversify your investment portfolio, including your retirement savings accounts. The IRS allows you to own gold and other precious metals (silver, platinum, and palladium) in a Traditional, Roth, SEP or SIMPLE IRA. Read more about the basics of investing in gold in a self-directed IRA. You may own gold in many forms in your IRA, including coins minted by the US, Australia, and Canada. You also may own gold rounds and bars, as long as they have been produced by an entity that meets certain industry and government standards. Precious metals dealers and mints are the best source for the gold you own in your IRA. 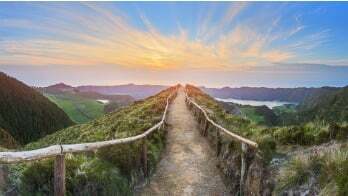 Indeed, if you do convince that leprechaun to lead you to his pot of gold, you’ll want to make sure the gold meets IRA standards before investing in it using your IRA funds. Come to that, a pot at the end of a rainbow won’t pass muster with the IRS as a storage facility either. The precious metal must be in the possession of the trustee and need to store your gold in a registered, insured depository. The Entrust Group works with eight respected depositories in the US that offer storages facilities across the nation in Delaware, Massachusetts, New York, Ohio, California, Utah, North Dakota, and Idaho. However, some people prefer to store their precious metals in a depository outside the US. Some of the most popular locations include Zurich, London, Toronto, and Hong Kong. Entrust works with several international depositories. Open an Entrust Precious Metals IRA by contacting our Precious Metals Center or your local Entrust office. Fund your account by making a contribution, through an IRA transfer, or a direct rollover from a previous employer’s retirement . Select the precious metals dealer where you will make your purchase and the depository where your gold will be stored. Once your IRA has been funded, contact the dealer and place an order. Once the order is confirmed, submit the Entrust “Buy Direction Letter,” the dealer’s invoice, and Depository Election Form to Entrust for processing. Entrust initiates a wire to purchase the metal and provides the dealer with delivery instructions to your depository. Your dealer ships the gold to the depository. When it arrives, the depository will email you a delivery confirmation. 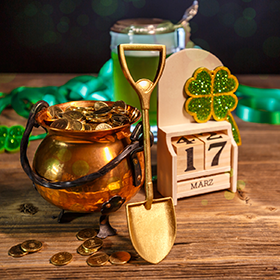 Just as a leprechaun’s treasure is his pot of gold, yours is your retirement savings. If you want to start your own pot of gold, visit Entrust’s Precious Metals Center today.